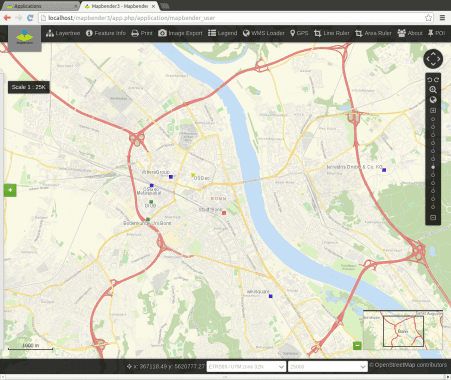 Mapbender is a web based geoportal framework to publish, register, view, navigate, monitor and grant secure access to spatial data infrastructure services. The open source software Mapbender is a contentmanagement system for geospatial data services and mapapplications. With Mapbender you can create applicationswithout writing a single line of code. Based onstate-of-the-art technologies Mapbender is a flexible clientfor OGC services. The software is an OSGeo Project andlicenced under MIT. You can extend Mapbender with your own modules and additional functionality.